Here we have already have several days of very cold weather, which led me to pull out my big, thick coat out of the back of the closet. Most days I don't wear a coat that is very thick or warm because on my way to work, I am not outside for very much time. This year though I have decided that I would love to have a new coat. In my search for a new coat I have come across pictures of beautiful skirted coats or dress coats. I love that these coats have swishy skirts that a girl can twirl in. I don't wear skirts or dresses very often, but if I did I would love a coat like the ones above. What are your thoughts on these coats? 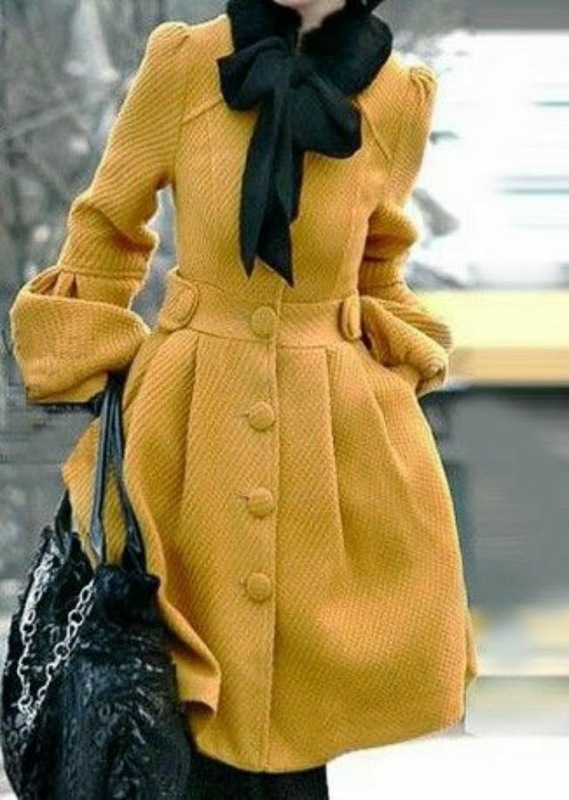 The sweet femininity of this style of coat is really pretty! i think these are so feminine and pretty. it's one of those things i wish i could wear here. if we had cold weather, i'd definitely add one of these (especially one like the first) to my wardrobe! I love the dress coats. It looks so chic!